Handcrafted by factory trained technicians with a "One Man One Engine" philosophy, Rotech Motor Ltd. offers overhauled ROTAX Aircraft engines. 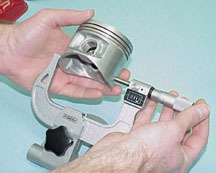 All overhauled engines and components are meticulously inspected and all measurements verified to meet Manufacturer's specifications. 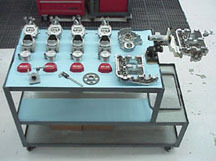 All overhauled engines come with everything that a new engine would come with which includes: oil tank, oil filter, oil temp sender, oil pressure sender, 2 x CHT senders, fuel pump, expansion bottle, regulator/rectifier,starting solenoid, all electrical connectors, tool kit, and all manuals on CDROM. Overhauled engines are available on a limited supply basis only. Call today to reserve your engine! Overhauled engines come with a 3 month / 50 hour warranty. Call or email us now for more information and pricing.